There’s nothing better to do on a weekend than to go out and explore the city, meet new people, and sample great food. Sydney’s food culture is constantly evolving. There are always new restaurants opening or another cafe hiding in the recesses of this busy city. 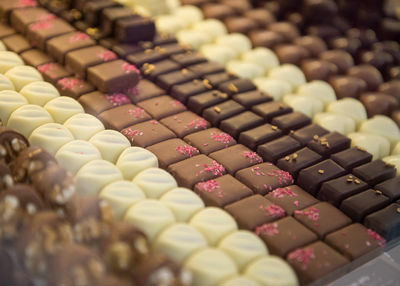 It is also home to some of the best chocolatiers in the country, ready for you to discover them. 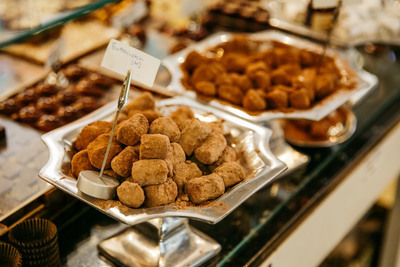 This tour is a chance to discover some of Sydney’s best chocolatiers, right in the heart of the CBD. You’ll learn about how chocolate is produced, from a bean on the cacao tree through to the hands of the chocolate makers; and the terminology used by industry experts to describe the taste, smell, and forms of chocolate. 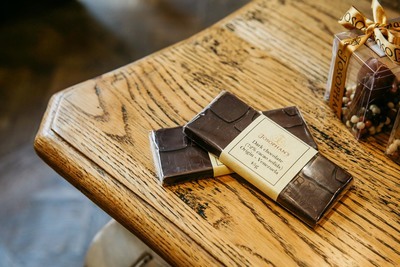 You’ll be able to sample the chocolates at each venue you visit, where you will also learn how the different cacao percentages affect the taste of the chocolate. 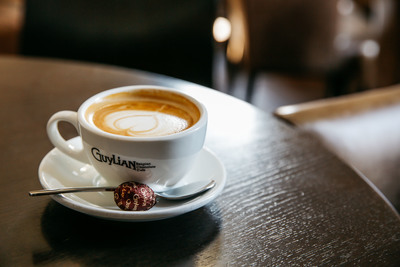 You will visit a variety of venues around the city, with a break in between. There will be some walking involved on the day, so please wear comfortable shoes and bring an umbrella if the weather calls for it. 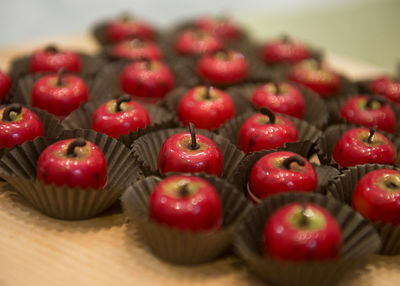 The tour price includes the sit-down break, and all chocolate tastings on the day. This tour is not gluten or dairy free. 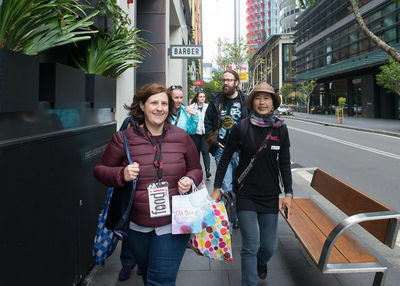 If you’re looking for a few hours of fun on the weekend, meet new people, and discovering new things about your city, Foodi tours will show you where to start. Loved it! Would highly recommend it. The guide Gabriel was lovely, very knowledgable and interesting. The places visited were very good. Did not know about 4/5 places that we visited. The selection of samples we tasted were delicious! Good having a taste of chocolate in various forms. Had not visited the Forgotten song Art installation in Angel Place in before. This was interesting. Also being told about the history of the buildings was interesting too. 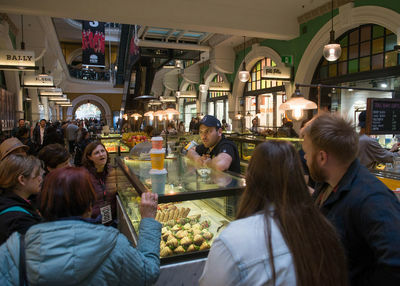 There was plenty of time to taste things, buy things and look around and talk to people. The tour was the right length of time. It was good fun. We live in Sydney and yet we were shown parts of the city that we didn't know. Gabriel was very pleasant and very knowledgeable. She had done her homework and was able to impart many interesting snippets of information. The chocolate tastings were divine. It was a great tour, to the little chocolate boutique. Amazing to walk around the city to places you don’t know you in the city. A great morning - the places we visited were a good balance of known and hidden gems with delicious tastings and knowledge shared. This tour was a gift so I didn’t know what to expect. I found it to be a delightful experience. With Gabriel leading us on the tour not only explaining about the origins of chocolate but also some of the history of the buildings we were in. It was very enjoyable. 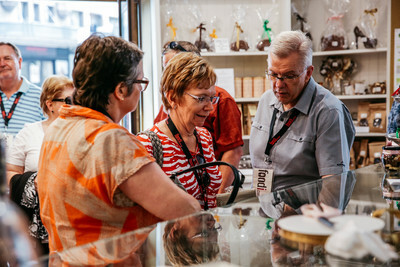 You have a great tour leader taking the chocolate lovers around the city. a Saturday well spent and well organised, well worth the trip. Gabrielle was a friendly and informative guide. Her historical knowledge of the sites our group travelled through added unexpected depth to my enjoyment of the event. Our group where engaged in many interesting conversations as a result of Gabrielle's information. The tour moved at a gentle pace and everyone was able to keep up. Points of interest were a real surprise and of interest to the group. While I enjoyed a little bit of chocolate, it was the experience and people that made this an experience I want to repeat. Thank you to Gabrielle and Foodi. Tour guide was great. Tour was great. Great fun, good venues and the host was vibrant, enthusiastic and knowledgeable. The event was organised very well with a comfortable walk from each venue. Ivy was friendly and fun. Very well organised, relaxed, great snippets of information along the walk re history of areas, and of course chocolate! Nice group of people, and our Guide Gabrielle was great. Loved the range of places visited and different things we got to try at each one. Group size was good as well. It was a fun time. Tour Guide Gabrielle was very informative and lovely. Loved it! 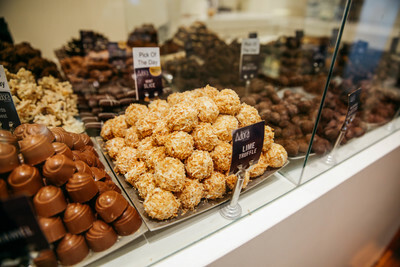 My daughter and I had a great time tasting the delicious chocs and purchasing from each store. We enjoyed the knowledge shared with us from Gabrielle our tour guide of not only chocolate but the area and the buildings in Sydney we visited. We thoroughly enjoyed it! Great! Very enjoyable day. Ivy our guide was very informative about both chocolate and the CBD and the chocolates we sampled were amazing! Would definitely recommend this tour to others.